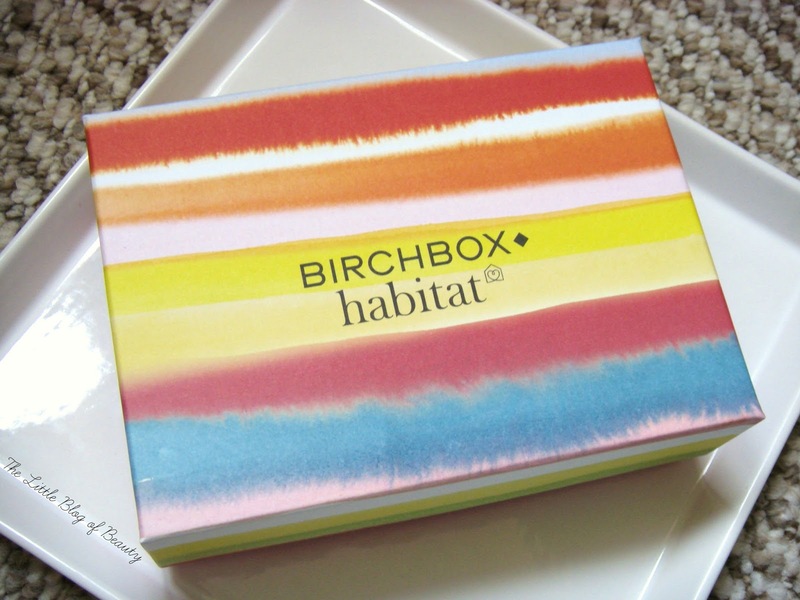 For March 2015 Birchbox have teamed up with home wear brand Habitat. I have to say at first I wasn't quite feeling this collaboration, as Habitat don't really have anything to do with makeup or skincare, however SS15 will see Habitat launching a collection of dressing tables and beauty storage and the box is to celebrate this launch. The first thing you'll probably notice is that this months box has had a little makeover. Glossybox are well known for pimping the design of their boxes, but I think this might be the first time that Birchbox have deviated from their usual design, or at least they don't do it very often. 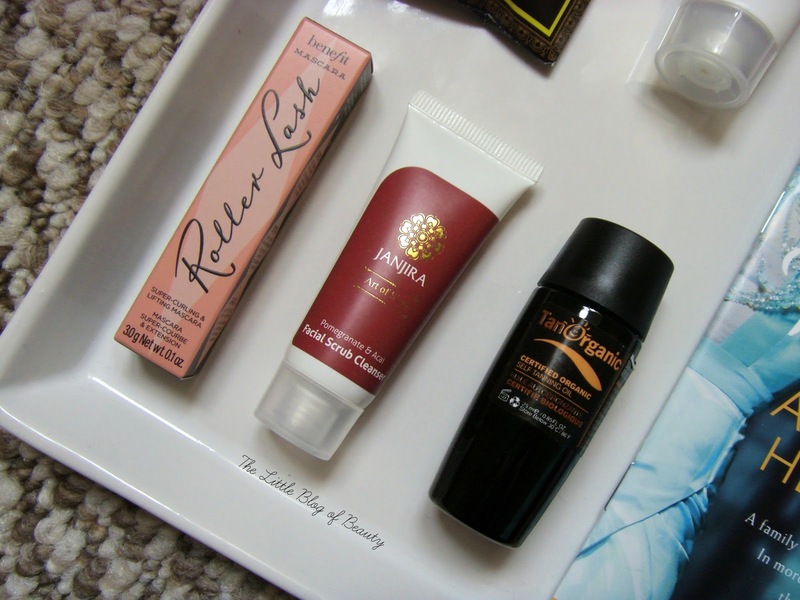 This months box features a 'pick your sample', which means subscribers could pick which of Benefit's three mascaras they wanted to receive; either Bad Gal, They're Real or the new Roller Lash. As mine is a PR sample I didn't get to pick my sample and I received Roller Lash. If I had been able to pick I would have actually selected one of the others as I haven't quite decided how I feel about Roller Lash yet but am a big fan of the other two. As I'm currently using a full size Roller Lash and have a huge stash of mascara to get through I'll be passing this on to my mum (who is a big fan!). Next up I was pleased to spot a Philip Kingsley Smooth cream. I haven't tried any Philip Kingsley products before but I know they're popular so I have high hopes for this. The only thing I'm slightly concerned about is that this says it's for medium and coarse, frizzy, curly hair. Although my hair is probably medium and can be frizzy it's not coarse or curly, so this may be a little much for my hair. The one skincare item in this months box is a Janjira Facial scrub cleanser. I've never come across Janjira before and don't think I've seen any products from the brand featured on any blogs so I really don't know anything about this one. There's also a tanning product which is the Tan Organics Self Tanning oil. I have little to no experience of self tanning and I have to admit I'm a little scared of it due to being very pale with dry and eczema prone skin. I will try to make sure I do give this a try though, probably on my legs so I can cover them if I make a mess! The final sample this month is a Catherine Malandrino perfume sample. I've mentioned several times before that I'm not keen on perfume samples in beauty boxes because you can pick these up for free, but I do actually really like the smell of this one and I think my mum will love this one too. This month there are two lifestyle extras which are two sample chapters from Penny Vincenzi's A Perfect Heritage and a little Birchbox/Habitat notebook. 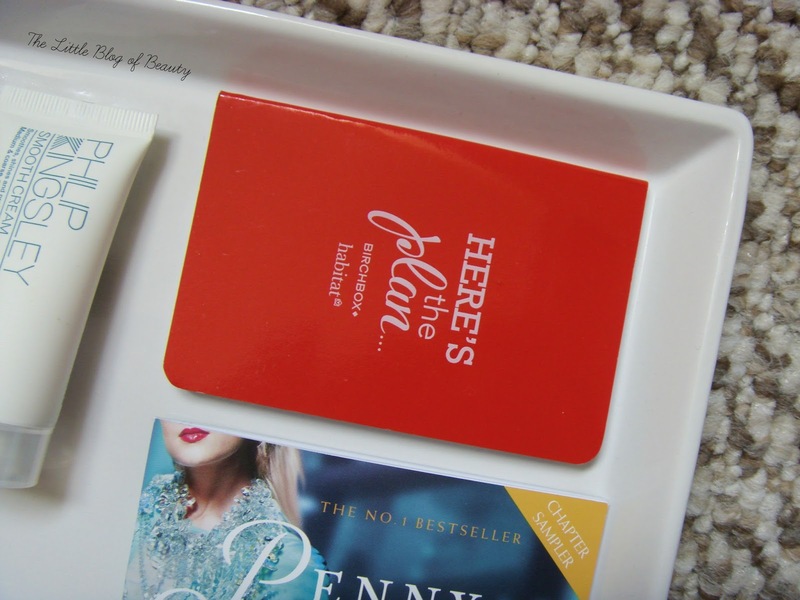 The notebook isn't lined but is a nice bright red shade and a mini size to drop in your handbag. In the box you'll also find a card telling you how to claim 20% off Habitat's SS15 collection in store or online, valid from 7th to 31st March. 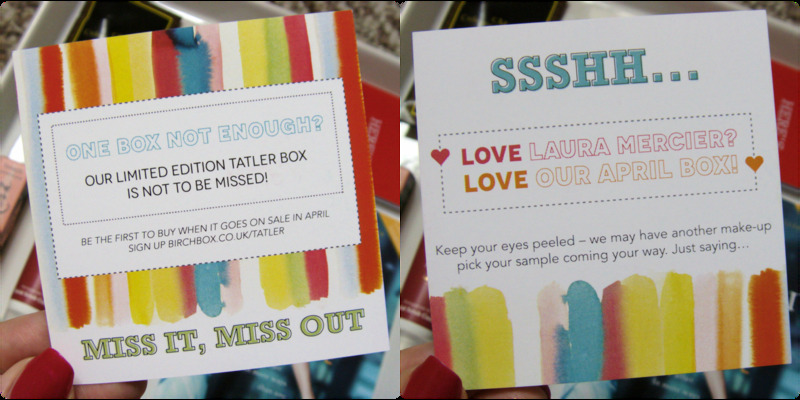 Finally there's also a little card to let you know that the April box will be a collaboration with Tatler and that there may just be another pick your sample opportunity featuring Laura Mercier. I wasn't too impressed by the box when I first opened it but actually it's a pretty good one. There's a good range of products covering makeup, skincare, hair care, tanning and perfume, with one of these products being a brand new release and there's two lifestyle items instead of the usual one. There's also the discount in case you do take a fancy to anything from Habitat's new collection. Who wouldn't appreciate 20% off a pretty new dressing table or some new makeup storage? Birchbox is £10 a month plus £2.95 P&P and you can subscribe on the Birchbox website.